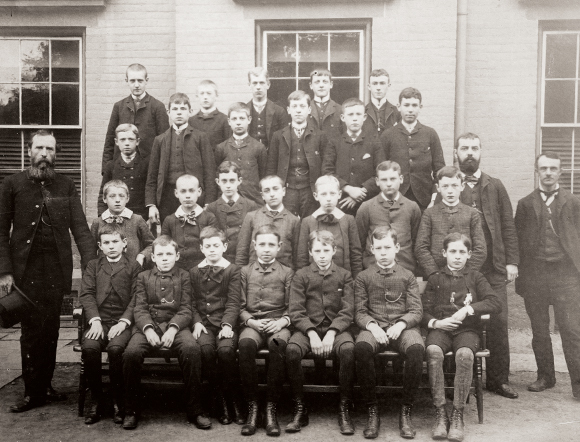 Newark Academy, founded in 1774, and one of the nation’s oldest private schools has been training state and national leaders for more than two centuries. Historical documents show that interest in education dates to the city’s founding in 1666 when Robert Treat settled in Newark. At the city’s founding Treat brought several hundred books to town.Furthermore, the Township Records state that on Nov 21, 1676 the men of Newark had the 'liberty to see if they can find a competent number of scholars and accommodations for a schoolmaster, within the town. In Rivington’s Gazette, a New York Tory newspaper dated March 10, 1775, it was announced that the academy was 'fitted for the reception of youth and of such children that can be conveniently lodged and boarded there. 'As for the curriculum, there would be taught, 'learned languages and the several branches of mathematics, etc.' as well as 'Reading, Writing, Arithmetic, and Book-keeping in the usual and Italian methods.' Originally, the academy was called the Latin Grammar School. It was described as a commodious stone edifice two stories tall with lodgings for a teacher and his family and accommodations for pupils who desired to be boarders. William Haddon was the classics instructor and Robert Allen the English teacher.For the first six years the school flourished, however, the building was burned to the ground during a Revolutionary War foraging party on the night of Jan 25, 1780. As in the case of Trinity Church, the building had been used for military purposes and was a target of the war. Today, the site of the first academy is marked by a large boulder in the southern tip of Washington Park across from the newly relocated St. Philip’s Academy and the Veteran’s Administration Headquarters. Newark’s painful economic situation following the Revolution prevented the rebuilding of the burned school for several years. By 1792, efforts were made to start over again.Community leaders headed by Isaac Gouverneur, Rev. Uzal Ogden, and Rev. AlexanderMacWhorter assisted in generating partial funding to replace the ruined academy.It was St. John’s Masonic Lodge, however, that offered to contribute nearly a third of the needed money for a building which the two groups would share for many years.The site of the academy’s second home was on the west side of Broad and Academy streets. The new building was a three-story brick structure than ran 36 feet along Broad Street and divided into a number of apartments.Originally, it was intended for the 'use of young gentlemen only'. But in 1809 it was decided that young ladies would join the school and both facilities and faculties were adjusted accordingly. In 1855, Newark Academy purchased a larger facility at High and Shipman streets, the old Wesleyan Institute, and sold its second home for $50,000. The previous academy building was bought by the federal government and replaced by a structure that served as the main post office for the better part of a century. At this time, the relationship between the academy and St. John’s Masonic Lodge ended. While the High Street building remained in use for many years, the constant need for space dictated another move in 1929 to Orange and First Streets. This colonial style facility served well until 1964 when it was felt that a move outside Newark was in the school’s best interests. By this time 80 percent of the students lived in Essex County or beyond.Still, it is flattering, in spite of the move west, that Newark’s name and some of its earliest traditions continue to this day. America’s sixth oldest school, and the nation’s third oldest city, provided and continue to provide, leaders for the region, the state, and the nation through Newark Academy.